I love the TreeView in .NET and am wanting one for an iPad app, but discovered that iOS does not have a TreeView control so after hunting around, I just decided to write one of my own. I did find a few iOS Tree Views on various sites, but they were all old and used Objective-C with no clear instructions on adding to your project, so that was just not going to work out. However, I did find a fairly easy one by Ahmed Karim written in Objective-C that I downloaded and looked at and used some of his ideas. 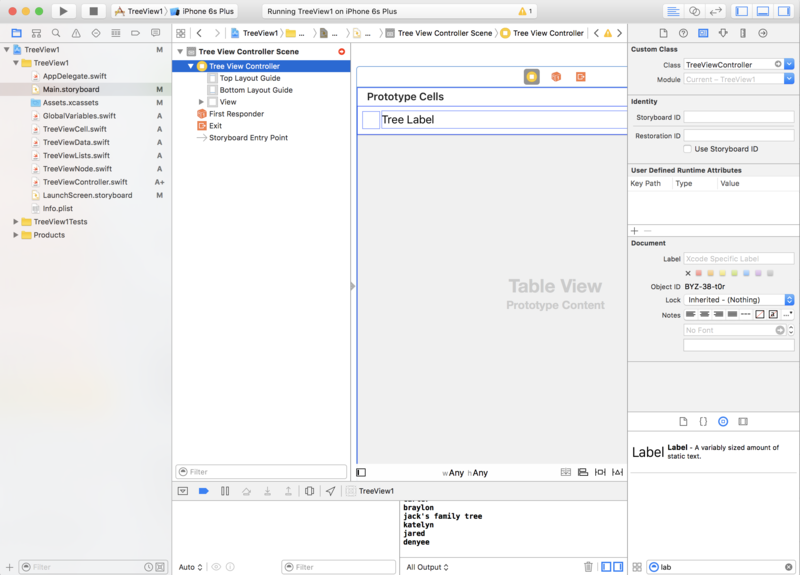 I started with the Single View Application in XCode. I added a tableView to the main View Controller and then set the attributes to use TreeViewController. I also created a custom cell and set that to use TreeViewCell. The Data for the Tree is loaded in TreeLists.swift. It is an array of a class called TreeViewData. Be sure to use a unique id for each one and then for the children nodes, set the parentId to the id of the node they belong under. Set the Zero level parentId to something that is not going to be used. I Graduated with a Computer Information Science Degree in 1990 and have been working developing systems since then. I started in COBOL, moved to PROGRESS, did a little RPG, then moved on to Mobile apps and desktop applications. Is there any way to use custom cell? I am fetching data from json and displaying it using a custom cell which has several UI component. Hello there! I've tried getting this to work on Xcode with Swift 3.0, but it doesn't seem to be quite right. The names of the cells print, but the simulator is just blank. Not sure what happened to your images, they where visible in the previous versions.